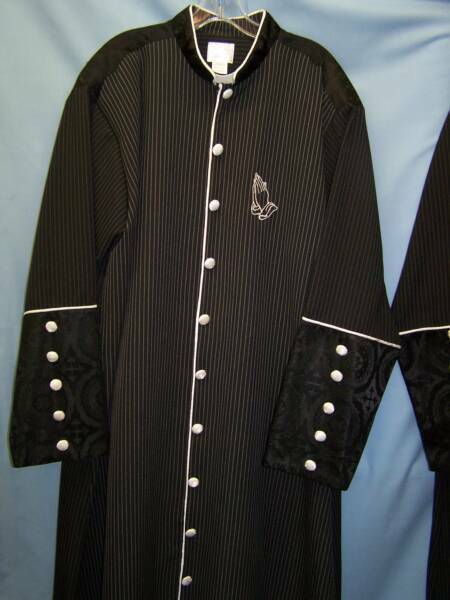 470-3 has french cuffs, 486-3 has a three part "V" cuff. Both have white piping and buttons with your choice of monogramming. Both styles have the vent between the shoulders. Both have a long seperating zipper closure with buttons for decoration. 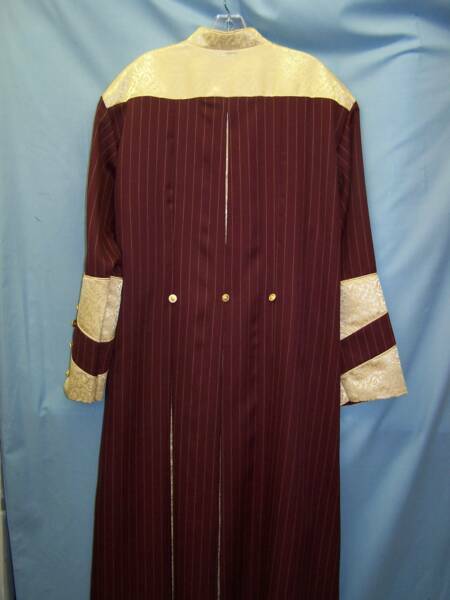 Olive, Navy, Burgandy and White with light brown stripes. 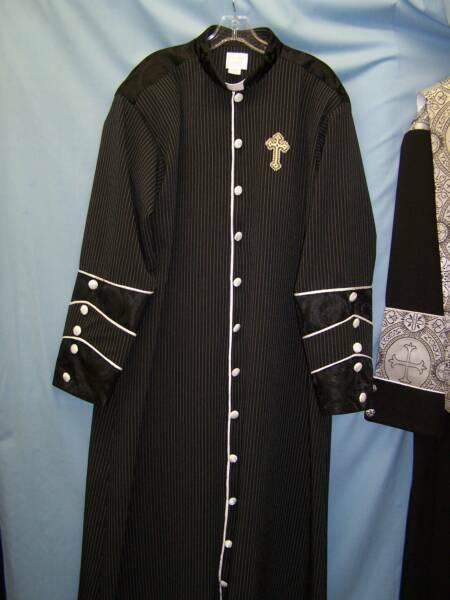 They also come with three inverted pleats in the back with the brocade inside the pleats. 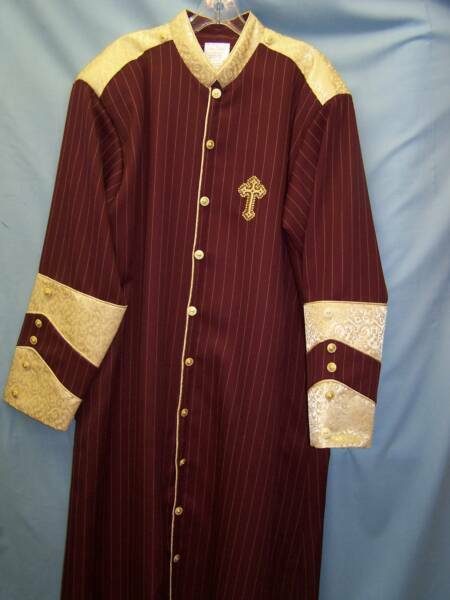 This description applies to the robes above and the robes below. 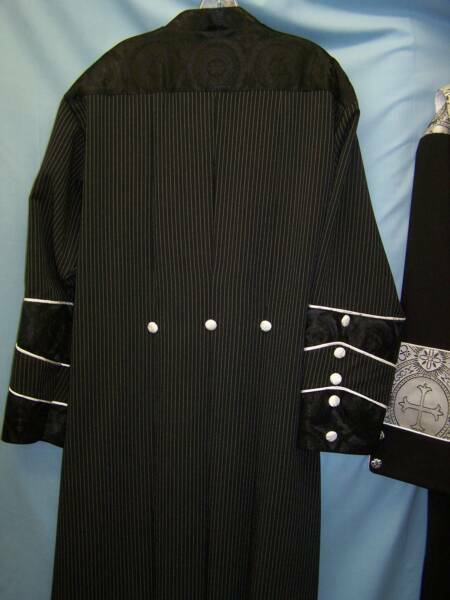 Black pinstripe with white piping (above).